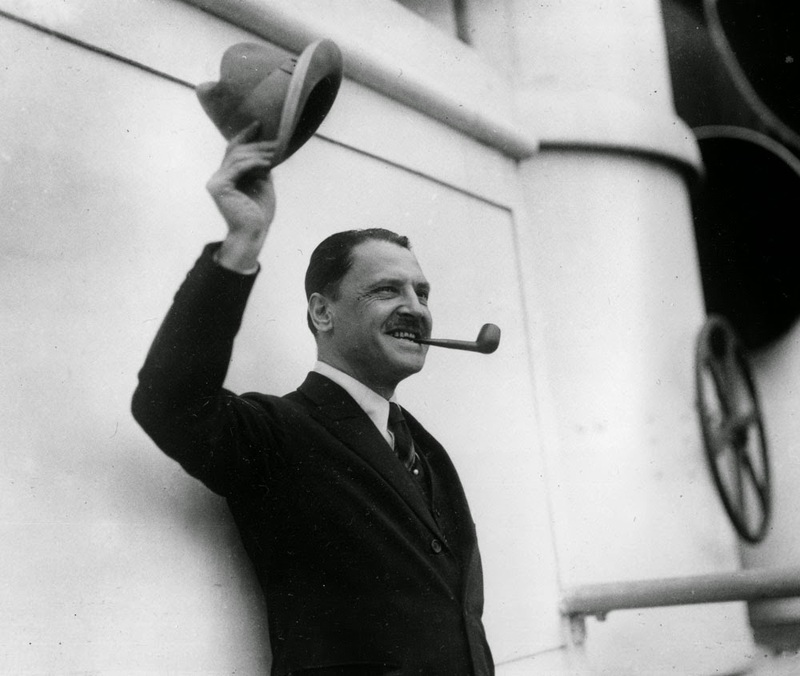 IT'S by no means the wettest place in the world, but a visit there in 1920 convinced English author Somerset Maugham it was certainly one of them – so much so that when he penned one of his most famous short stories about the characters he encountered aboard-ship getting from Hawaii, he titled it simply Rain. 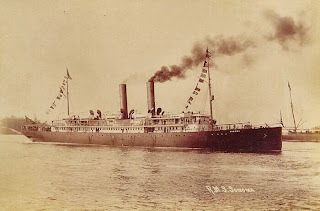 Maugham is not the only author to come under the spell of Samoa: Robert Louis Stevenson chose to live and write there in the 1890s, and James A Michener was there with the US Marines during the war in the Pacific, keeping notes of people and events around him, and which ultimately formed part of his classic Tales of the South Pacific that was published at war's end. 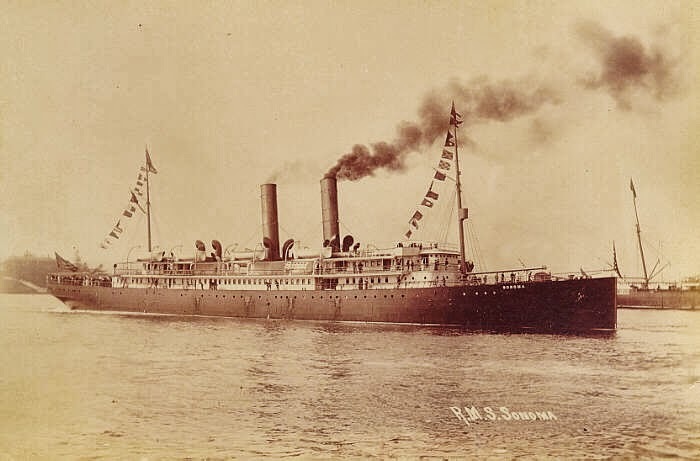 Somerset Maugham was travelling with his lover, Gerald Haxton on the steamer Sonoma from Honolulu to Tahiti in 1920 when the vessel was forcibly quarantined in Pago Pago because of an onboard case of measles. 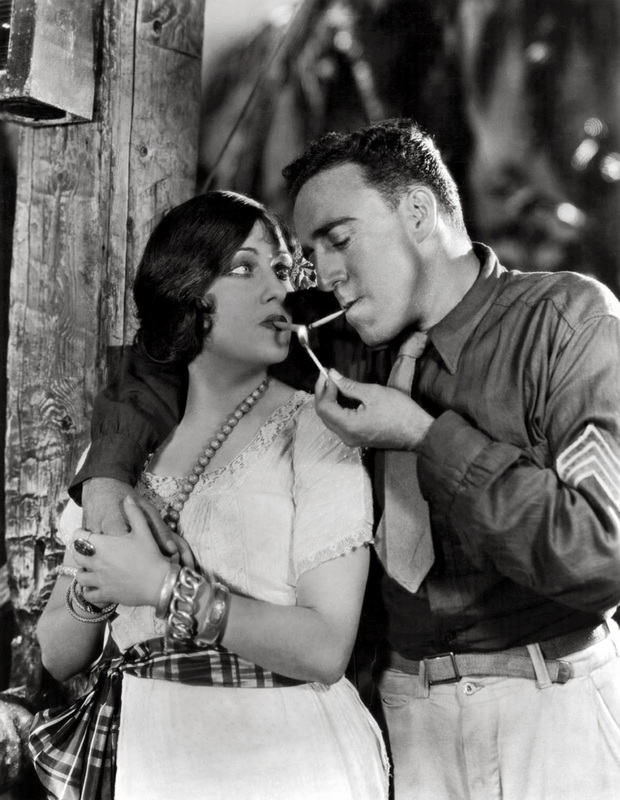 And the American prostitute became Sadie Thompson the colourful, well, prostitute. Another in the short story, a Dr Macphail bears striking resemblance to Maugham himself: both he and "Dr Macphail" had served in the medical corps in WWI, and both had a hearty dislike of bigoted fundamentalist preachers. Rain goes on to tell of the battle between the Rev Davidson and Sadie Thompson, whose soul he attempts to save and whom he coerces to repent – only to end up himself in her bed, and... well, you read the story. And throughout it all it rains, just as it had when Maugham and Haxton had visited in 1920, in the story Maugham recounting how "the rain did not pour, it flowed… and fell in torrents." In fact Pago Pago records a whopping 119-inches (3000+ millimetres) a year, and while the bulk of this falls between October and May, even in the mid-year "dry season" around six inches (153mm) drenches the place every month. 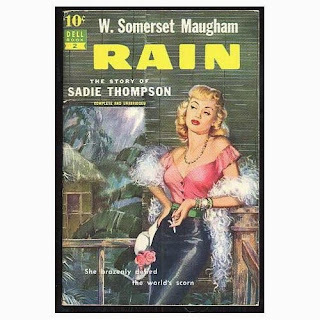 The Sadie Thompson that Somerset Maugham created may or may not have actually existed, but Sadie Thompson is almost revered in American Samoa, with the locals pointing out how "she," Maugham, Haxton, the Davidsons and Macphails had rooms in a boarding house while their ship was quarantined. And that after the ship steamed off to Tahiti, Sadie stayed behind to ply her trade to grateful expatriates living in steamy Pago Pago – and that her house of ill-repute is still there today. 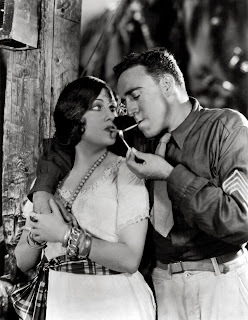 And she's been immortalised in three movies: the first, a 1928 silent that starred Gloria Swanson and Lionel Barrymore, shocked prudes who were aghast at the portrayal of a married man of the cloth partaking of the favours of a harlot, while a second with Joan Crawford and Walter Huston had America's 1930's straight-laced equally up in arms. A third re-make in 1953 with Rita Hayworth and Jose Ferrer was more sanitized and considered somewhat tame. 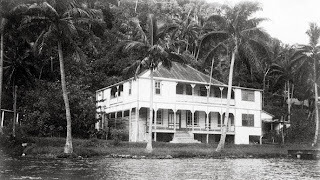 There's some conjecture as to just where Maugham stayed in Pago Pago in 1920 during his delay there, and by extension, Sadie Thompson, the Davidsons and Dr Macphail and his wife, but it was most likely in what is now the town's Chinatown district. And today's Sadie Thompson Restaurant occupies the building in which, the locals will swear, Sadie later ran her house of ill-repute. In Maugham's short tale, after repenting her sins Sadie was to be deported to San Francisco and prison by the governor of Samoa, who was under the influence of the Rev Davidson, and even though she wanted to flee to Australia – which would have rid Samoa of her. But locals will tell you the "real" Sadie was found one night by police in a yet-again drunken stupor with clients, bundled onto a ship bound for Sydney – and the captain told to take her there if he ever wanted to berth in American Samoa again. 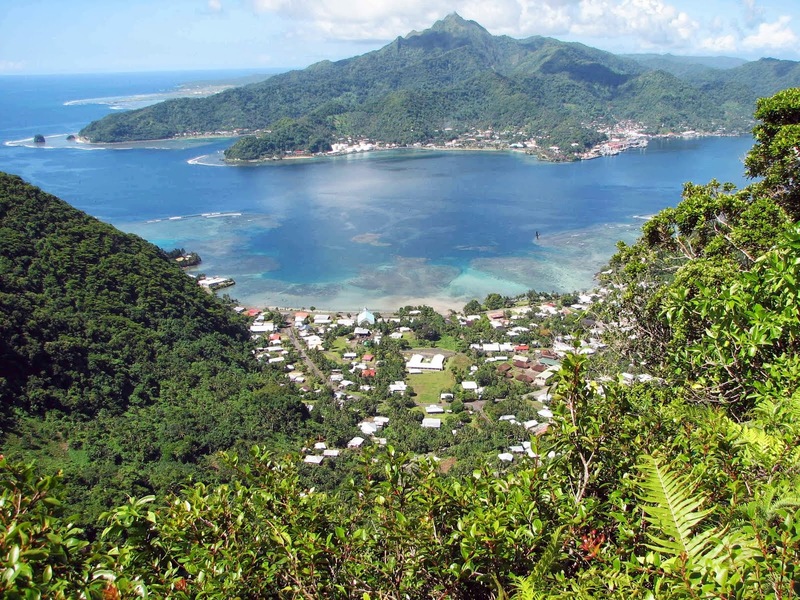 True – or just another tale of the South Pacific?